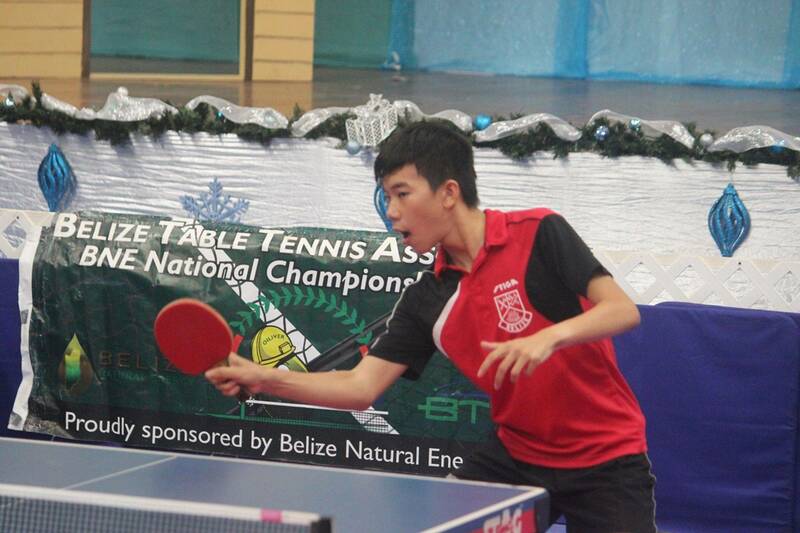 "Developing the sport of table tennis"
WELCOME TO THE BTTA WEBSITE! 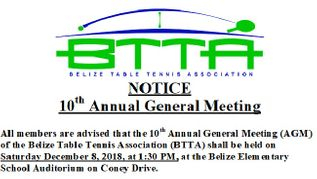 The Belize Table Tennis Association held its 10th Annual General Meeting on December 8, 2018 at the Belize Elementary School Auditorium. Well attended by several players and parents, the meeting covered all reports and financial presentations by the President and the Treasurer. Elections of officers was also held, where the existing members were unanimously re-elected back as the Executive Committee for the next 2 years. Only change in the new Committee is the Secretary position, where Yasser Musa now holds that position. Mrs. Petie Matus, who previously served as the BTTA Secretary, has retired from the Committee. Having held the position for 9 years, the BTTA thanks Mrs. Matus for her great contribution to the development of table tennis. 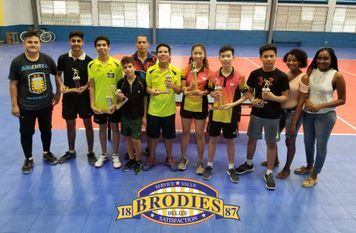 The 2018 Brodie’s Annual Strong & Weak Double Tournament took place this past Sunday, August 12th, 2018 at the BES Auditorium, the home of table tennis. Competing in a DOUBLE ELIMINATION Format, 12 Strong & Weak Doubles Team began competing for this year’s title. CONGRATULATIONS to all the Winners, and a big THANK YOU to the SPONSORS BRODIES. THANK YOU also goes out to all the players, participants, spectators and organizers of this year’s event, especially our new team of umpires. A Big Thank You goes out to RF&G Insurance for sponsoring the event. 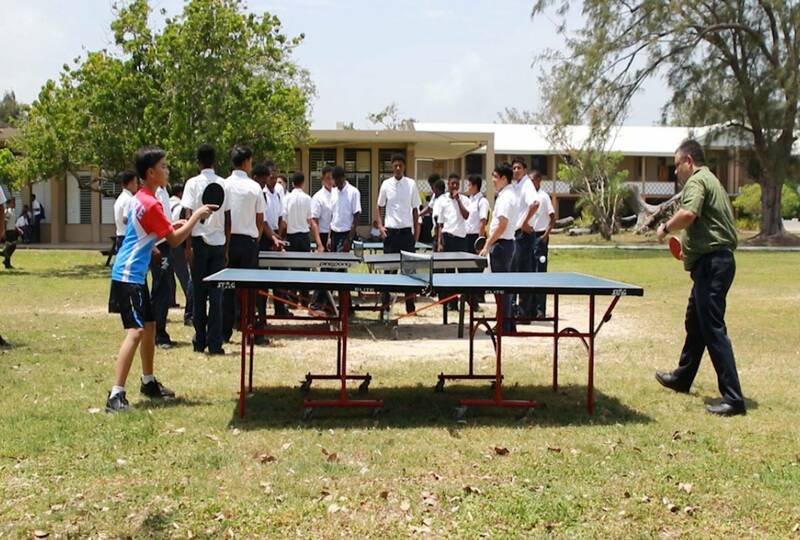 They have supported Belize Table Tennis for over 8 years now and have been instrumental in the development of the sport. Congratulations to all the winners and see you at our next event the Barrow and Williams Summer Open set for Sunday, July 29th, 2018. Devesh Hukmani clenches his first Don Omario Cup Title! 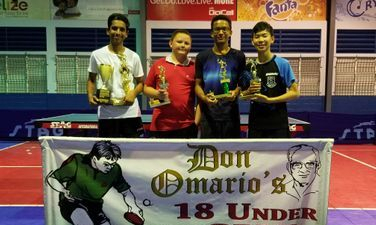 The 2018 – 6th Annual Don Omario's TOP 32 18UNDER CUP took place this Saturday, April 21, 2018 at the BES Auditorium, "the home of table tennis". 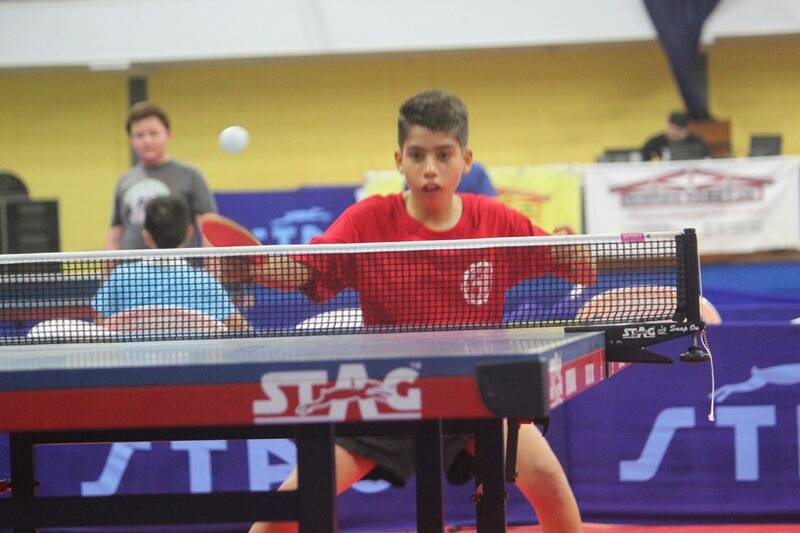 The TOP 32 best 18UNDER junior players started out in a Double Elimination Format event with defending Champion Amiri Hoare and top seeds Taye Parkinson and Devesh Hukmani all in attendance. Amiri Hoare being the defending champion looked for his second win this year towards keeping the coveted cup. Winning three years in a row will do just that. He would face stiff competition however as all the juniors were hungry for the cup as well, so games were expected to be really heated and competitive. Taye Parkinson sat atop the main draw while his rival Devesh Hukmani sat opposite him in the bottom half of the draw. On the road to the finals Taye paved his way with victories over Parin Thadani (3 – 0), Jofny Paguaga (3 – 0), Terry Su (3 – 1), and Amiri Hoare (3 – 1). 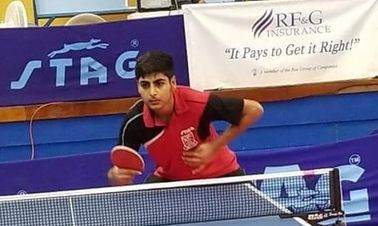 In the bottom half Devesh Hukmani defeated Mihir Karnani (3 – 2) and Daryl Palacio (3 – 1), before losing to Amiri Hoare in the match leading into the finals. Amiri’s quick change ups and superb placement proved to be too much for Devesh and so Amiri sent Devesh to the loser’s bracket winning 3 games to 0. After losing to Taye Parkinson in the main bracket, Terry Su tried to make his way back into the finals by beating Rohit Pagarani (3 – 1), but his journey soon came to an end at the hands of Devesh Hukmani who beat him (3 – 2). Terry had to settle for fourth place. Devesh and Amiri met again in the bottom half and fought intensely to advance to the finals. This game was as instense as the first, but this time Devesh managed to return the favour by winning 3 games to 1. The finals was then set. Devesh Hukmani and Taye Parkinson would have to battle it out for the prestigious Don Omario Cup. Taye Parkinson had held the cup the year before and so he desperately wished to hold it once again. This would be Hukmani’s first time in the finals for the coveted cup and he was definitely hungry for the win. Inevitably, the match showcased some excellent play. Devesh completely dominated the first match, winning 3 games to 1. Because of the double elimination format, Devesh would have to play Taye once again in order to claim the cup. The stakes were much higher in the second and final game and Taye made sure to bring out all he had to win and claim the cup for a second time. In the final match Taye Parkinson and Devesh Hukmani played see-saw as they went back and forth trading games. Taye won the first game 11 – 9. Devesh won the second 11 – 9, Taye won the third 11-8, and Devesh trying arduously to stay in the game won the fourth game 14 – 12. In the final game, Devesh Hukmani came out swinging hard. This pressure got the better of Taye and he struggled to remain focused. He eventually lost the will to keep fighting. 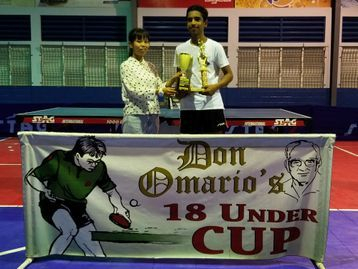 Devesh’s relentless attacks ultimately proved successful, gaining him the victory and this year’s Don Omario Cup. Trophies and the Championship CUP were presented to the winners on behalf of the Sponsors "Travellers" by BTTA coaches Wilber Bientz and Aya Kubota. 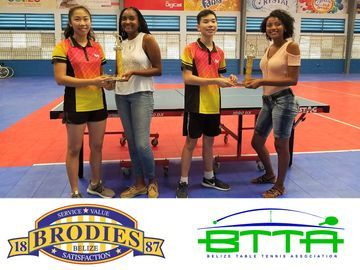 CONGRATULATION to the winners and a special THANK YOU to the event’s Sponsor "Travellers" for their continued sponsorship and support in the development of table tennis in the junior players. THANK YOU also goes out to all the players, parents, spectators and organizers of this event. Download Tournament Calendar 2018 HERE! Register Here and become a Nationally Certified Umpire and Referee and earn cash while doing it! Formerly the Deputy President, Arturo Ricardo Vasquez was elected President of the Central American Table Tennis Confederation at the General Assembly staged in Guatemala on Friday 10th February, 2017. 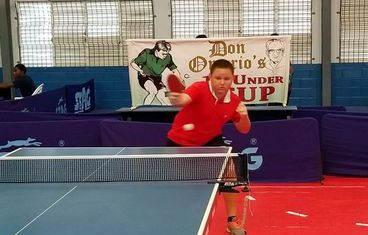 He succeeds El Salvador's Leonel Aguilar Castillo; Emilio Wong, President of the Panama Table Tennis Federation was elected Deputy President. 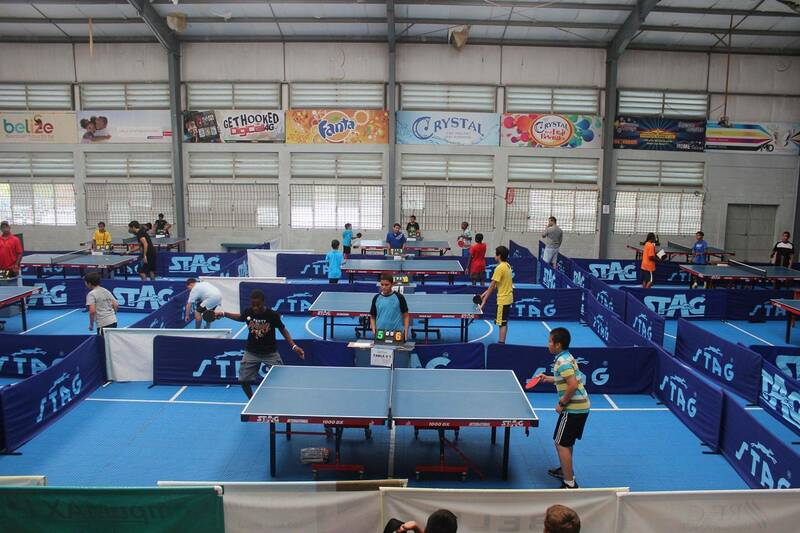 General Elections for the Central American Table Tennis Federation (CONCATEME) comes up again in January 2017 to begin another full 4 year term for all elected positions. 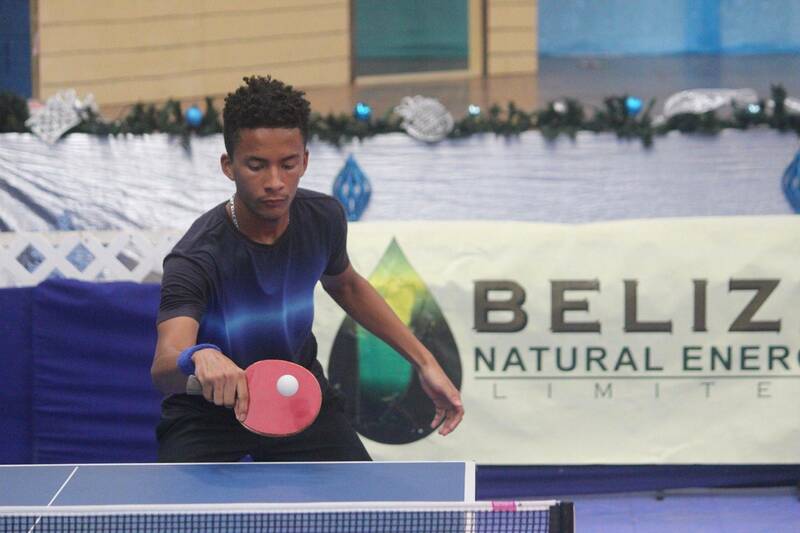 The election recognizes the efforts our President and our association has made in recent years in promoting table tennis in Belize; the small Central American country that has progressed from zero to competing on the international stage. The recent development of our junior players since 2013 was also recognized during the election process in Salvador. Tux replaces Sergio Blanco from Mexico who stepped down from the post giving way for a bi-election to fill the remaining term of office, where all 8 Central American countries were present for the elections. 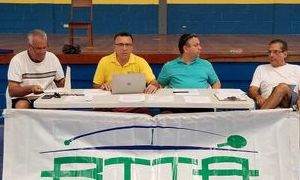 The President of The Belize Table Tennis Federation (BTTA), Arturo "Tux" Vasquez was elected to the post of Deputy President of the Central American Table Tennis Federation (CONCATEME) at the General Assembly held in El Salvador on Friday January 22, 2016. The National Hopes Week & Challenge concluded this past Monday with over 23 Junior player receiving certificates of participation in the closing ceremonies of the program at the BTTA training facility located at Body 2000 gym on Coney Drive, Belize City. 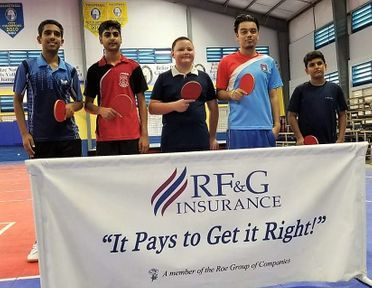 23 Junior players had the opportunity to work with ITTF High Performance coach Aleksey Yefremov of Belarus for one week leading up to the National Hopes Challenge Tournament staged at the Belize Elementary Auditorium on Saturday November 26. 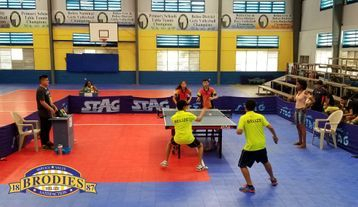 The National Hopes Challenge is a part of a wider ITTF initiative which seeks to identify the world's top Under 12 cadet players as well as to work with local coaches to improve their skill level. Each participating country is responsible to set up a National Hopes week to identify their best Under 12 cadet players. These players then go on to a Continental Hopes Challenge Week, and the winners at that event move unto to the World Hopes Challenge Week. Channel 7 Covers Central American U13 Games Results! Site designed and maintained by the BTTA.